SenSpa Academy is a leading VTCT training centre of excellence for Traditional Thai massage and spa therapies, spa business skills and spa customer service. Through experiential learning the academy equips students with the confidence, knowledge and skills to excel. Discover our VTCT accredited Thai massage courses to expand and adapt your massage skills. This unique course gives therapists practitioner training in traditional Thai massage, learning about its origins, traditions and terminology. The massage routine you will learn also provides you with a solid foundation to develop your own routines. SenSpa Academy courses have been carefully designed by spa industry experts to give therapists the tools required to work to international spa standards. Inspired by holistic wellness and inner beauty, SenSpa’s facilities and services emphasise the balance of mind, body and spirit with a fusion of Eastern and Western philosophies and treatments. Our whole ethos is enhanced by the use of natural and organic products in treatments including our own SenSpa Organic Therapy range. We believe that excellence is achieved through training, education, assessment and application. 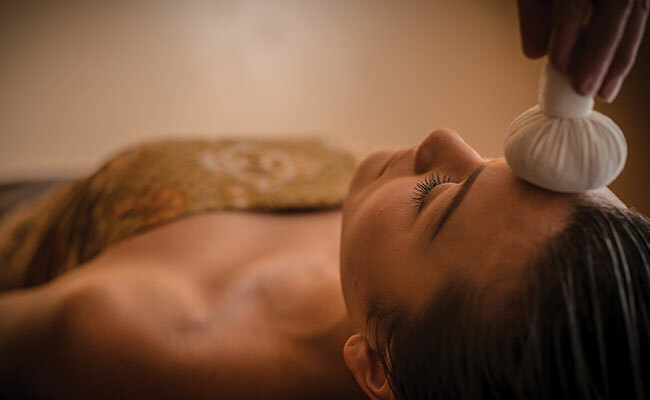 All SenSpa’s treatments employ tried and tested techniques found in Thai, Indian and Western massage traditions to achieve results whether the goal is relaxation, rejuvenation or remedy. We subscribe to a service ethic which ensures the customer is always given first priority. We aim to delight and please. SenSpa Academy maintains all the SenSpa principles. In addition, each training course provides gold standard training firmly based on experience of the spa industry and an understanding of its skills requirements. Our management team are highly experienced industry experts with extensive experience of spas and training both within the UK and internationally. The SenSpa therapy team has over 200 years of combined experience. SenSpa Academy is an accredited VTCT centre which means that you can be sure that your VTCT qualification meets all the quality standards and criteria set out by government regulatory bodies. 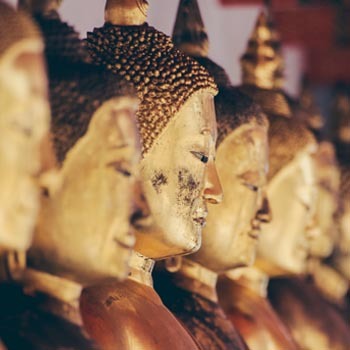 Our accredited Level 3 Traditional Thai Massage course is mapped to UK regulatory frameworks and is recognised by international employers, governments and professional associations. Our courses are designed for qualified therapists who want to broaden and deepen their skills through intensive training. We believe that by learning the basic techniques of traditional Thai massage, you can vastly expand your repertoire, giving you the knowledge and confidence to create your own Thai massage routines and to adapt the techniques to oil based massage. We want to immerse you in Thai culture whilst you learn the traditions and techniques of Thai massage and therefore each training course held at Careys Manor Hotel & SenSpa includes use of the world class spa facilities and authentic Thai cuisine. You will eat food prepared by our four Thai chefs in our own Zen Garden restaurant. We’ll even give you simple delicious recipes to create at home. To be a recognised sector leading training centre of excellence for spa therapy, and especially in Traditional Thai massage, spa therapies, spa business skills and customer services, equipping students with the confidence, knowledge and skills to excel. The core values that underpin the academy provide the guiding principles to create and provide an excellent education for students and to support students in their learning and development. Excellence - ­ We are committed to delivering outstanding training and giving students the knowledge and practical tools to transform their practice. Cultivate a culture of true learning ­- We foster collaborative and active learning and support the desire for lifelong learning. Integrity and Respect - ­ We encourage professionalism that is responsible, accountable, and ethical. We respect each other and are tolerant of our differences. SenSpa Academy aims to immerse students in Thai culture whilst learning the traditions and techniques of Thai massage on a series of VTCT accredited 1 and 3 day courses. Our VTCT accredited Thai massage course will equip you with the skills and knowledge required to deliver a safe and effective 100 point Thai massage. This 3 day course gives therapists practitioner training in traditional Thai massage. You will also learn about its origins, traditions and terminology. You will learn client consultation skills specific to Thai massage and contraindications. Practical work focuses on massage techniques including client stretching, use of thumb pressure, palms, forearms, heels and feet enabling you to give Thai massage safely, effectively and confidently. You will understand how to use your own body posture, mobility and balance to apply pressure. The 100 point Thai massage routine you will learn provides you with a solid foundation to develop your own routines depending on client needs. Traditional Thai massage is given on a floor mat with client fully clothed with yoga stances playing part in this therapeutic dance. The variety of skills that you will learn on this course provides a foundation that will enable you to expand and adapt your massage skills and practice holistic massage to a high standard. Thai people are as passionate about their food as they are of their massage traditions and cuisine is an important part of Thai life and culture. This course includes a daily Thai lunch in the Zen Garden restaurant as well as evening use of the world class SenSpa spa facilities. We also offer extensive savings to students who wish to experience massage given by expert Thai therapists. All students are required to hold a Level 3 certificate in Anatomy, Physiology and Body Massage or a Level 3 Aromatherapy certificate. Be able to offer professional Thai Massage treatments and charge for this service. Approx £40-£75 per 1 ½ hrs depending on the location. Be qualified to Level 3 which will enable you to apply for full insurance cover. Thorough practical assessment will continue throughout your training and a first assessment will be given on the third training day. You will return to complete 2 further assessments on the same day. Case studies and your portfolio are to be submitted prior to the assessment day for review. Dinah Pickering will be your course tutor. She is a highly qualified spa expert and teacher who has lived and worked in Thailand. She was part of the VTCT Technical Expert Group commissioned to develop unit content for the VTCT Level 3 Diploma in Thai Massage(QCF) - (The Team). £795 including all tuition and learning materials, daily two course Thai lunch, daily use of spa facilities on each course day. Portfolio marking, assessment and certification is an additional £85 (payable only if you wish to receive the VTCT Level 3 qualification). If you are not already registered with VTCT a lifetime registration fee of £16 is payable on enrolment. Complete 10 case studies (5 clients x 2 treatments each) and a portfolio index as per your training course. Attend an Assessment Day (if you wish to gain the full qualification). If you do not wish to have the full qualification, you can opt to do the 3 day training as CPD to further your skills. This means that you would not attend the assessment day. However we advise that you do the full qualification. Our short training workshops provide you with the knowledge and skills required to work in a 5 star spa. Designed for any therapist looking to work in a spa environment or for busy spa managers who want to give their therapists effective spa training. 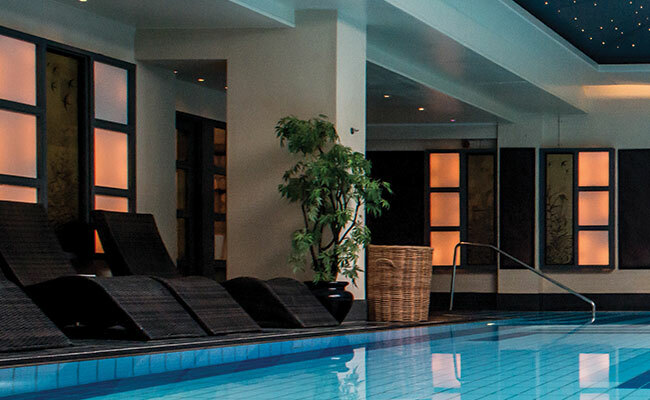 This intensive one day workshop shows you how to deliver a first class guest journey in a spa environment. 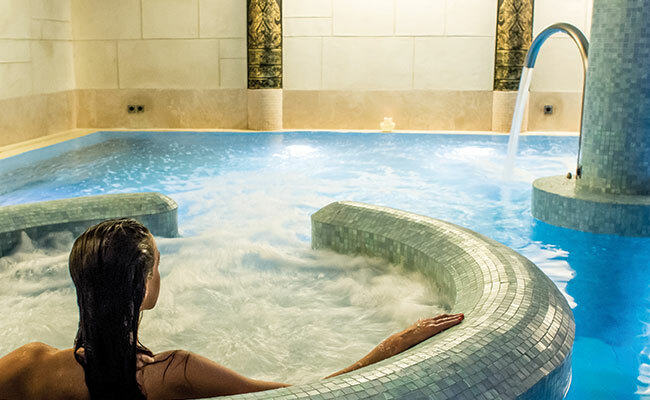 Spa guests expect a very high level of service and care; after this course, you will know exactly what to do to make the journey special, from greeting to farewell, taking your guests' experience from first to Concorde class. You will learn how the treatment journey impacts on overall customer satisfaction, and we will focus on every detail that takes your service levels to outstanding.Newly qualified students can greatly benefit from this training, especially when applying for positions in spas. Busy spa managers who do not have the time to train staff can use this course to raise customer service standards. We can’t stress strongly enough how important it is for therapists to use correct posture when delivering massage. It is the single most important thing you can do to prevent injury and deliver your massage in the most efficient way. Our 2 day course covers 12 different massage techniques and shows you how to use your body weight and supported posture to provide a stable base from which to deliver these techniques to different areas of the body. At the end of the course you will be able to design your own massage applying the appropriate techniques with your aligned body weight. This will greatly improve your massage ability and efficiency whilst taking care of your own physical wellbeing. SenSpa welcomes applications from Thai therapists looking to work in the UK at one of the UK’s premier Thai Spas and from those looking to develop their skills within the realms of Thai Massage. If you enjoy people, have an interest in health and wellbeing and want a chance to shine we would love to hear from you. We put our guests at the centre of everything we do and in order to give them an unrivalled experience we ask a lot of our staff, but in return we offer a working environment with the high standards of excellence that our guests expect and genuine opportunities to learn and develop. Our therapy training is second to none and newcomers to our team are always struck by how friendly and supportive we are. If you think you have what it takes to work at SenSpa don’t hesitate to contact us. Our experienced team is here to support you in your learning, to help you to fully develop your potential as a therapist and to ensure that what you are learning is relevant and current. SenSpa Academy Director, Lina Lotto has had a lifelong interest in holistic health and wellbeing. Since 1996 she has worked in spa development, management and marketing, having lived and worked in Thailand, Australia, USA and the UK. Lina was Programmes Director on the board of the Thai Spa Association and worked as Spa Consultant to Dusit Group in Thailand, establishing the first three of its Devarana spas. She is Spa Director at SenSpa. Principal Tutor, Dinah Pickering has lived and worked in Thailand and is well versed in Thai culture, spa culture and a variety of therapies. She has worked as a spa consultant, lecturer and trainer in the UK, Malaysia, India, Singapore and Australia and has contributed to the recent spa foundation degree for Southampton University. Dinah was part of the VTCT Technical Expert Group commissioned to develop unit content for the VTCT Level 3 Diploma in Thai Massage (QCF). Tutor, Tina Herridge has worked in the spa industry for over a decade. As Therapy and Training Manager for SenSpa, Tina brings her highly developed skills in therapy as well as a wealth of experience in operational spa management, standards and processes. She develops treatment and training modules that integrate beauty and wellness and is an experienced teacher and trainer. Tina has helped many therapists raise their skill levels to those required in the spa industry. Tina trained in Thai massage in Bangkok. Director of Sales and Marketing, Gemma Gilbert has over 10 years sales and marketing experience in the hospitality and spa sectors. Gemma’s marketing team ensure we understand and keep up to date with the requirements of the sector so that our courses reflect the needs of spas and the therapy sector and include skills that are relevant and desirable. Dinah Pickering or Tina Herridge will be your tutor. Dinah is highly qualified as a lecturer and has over 20 years industry experience of which six years were spent in Asia working with Thai people. Her experience, passion and respect for Thai culture and therapies will be passed on to you. Dinah was part of the VTCT Technical Expert Group commissioned to develop unit content for the VTCT Level 3 Certificate in Thai Massage (QCF). Tina Herridge has spent over 13 years as a therapist and teacher in the spa industry and is SenSpa's Training Manager. Tina undertook Thai massage training in Thailand in the UK. I do not have a Level 3 qualification in Anatomy, Physiology & Body Massage. Can I attend the Level 3 Thai Massage course? In order to do this course you must have this accreditation. The course covers the practical aspects of Thai massage at Level 3 and we expect you to have done anatomy, physiology and massage previously as the course focuses primarily on Thai massage and these components will not be covered during the course. I have not done a VTCT course in the last three years. Can I attend the Level 3 Thai Massage course? Within the last 3 years VTCT courses have included modified units on Heath & Safety, Client Care and Communications . These units are necessary in order to award the certification. You will be required to complete these units at home prior to the course if you have not already done so. We will ask you to bring your completed coursework with you on the first day. Please let us know if you require these units. Is this qualification recognised internationally? VTCT is recognised in most countries though we advise that you check with specific country requirements. VTCT qualifications are recognised through the Lisbon Recognition Treaty. VTCT offers a comprehensive suite of qualifications on the English Qualification and Credit Framework (QCF). They are recognised internationally through the Lisbon Treaty and are aligned to the EQF. I have a Level 3 A&P and Body massage from another awarding body. Do I qualify to attend this course? Yes, but you will be required to complete the Health & Safety, Client Care and Communications units for home study, prior to the course. This must be completed before the start of the course. Will this course account for recognised CPD? Yes, as this is development of new skills. Will I be qualified to give treatments after the three day course? Yes, provided you submit your completed portfolio and case studies and demonstrate competancy in giving a Thai massage during an assessment day. How many tutor contact hours and how many home study hours will there be? You will spend 3 days focusing on Thai massage practice. You will then work from home on your case studies and portfolio. The number of hours spent on this is highly indiviudal. Please discuss this with your tutor. SenSpa Academy is the training arm of the award winning Thai spa, SenSpa. You will have use of the spa facilities during your course and have access to teachers and therapists who have mastered their craft. We employ the highest industry standards that your clients will expect of you. Your tutor is a highly trained industry expert, with experience of living and working in Thailand and a passion for Thai massage. We ensure that what you are taught is effective and safe. Thai massage underpins so many of the new fusion massages given in spas around the world; with Thai massage techniques as your underpinning you will be able to significantly expand your repetoire. How many case studies do I need to do? You will need to do 10 case studies with 5 clients having two treatments each. How long a does a typical Thai massage last? 1 ½ hours, though it can be done in 1 hour. We recommend a full 1 ½ hours or 2 hours. How physcially fit do I need to be to perform a Thai massage? Will I meet Thai people during the course? Yes, you will meet some of our wonderful Thai therapists during your course. Periodically throughout the course they will share their experience with you. What will I wear during the course? The course is very relaxed. You need to be in comfortable leggings or track suit bottoms that allow you to move freely. All equipment will be provided. Very little. After you register for the course we will send you instructions on what you need to bring. All course materials and equipment are provided. I have a food allergy. Will I be able to eat Thai food? It depends on the specific allergy but rest assured we can cater for you no matter what your allergy. Just let us know if you have any special dieatary requirements. Do I have an option of staying at Careys Manor if I require accommodation?